Get Up Off the Floor and Dance! When I lived in Ohio, my friends and I went country line dancing every Wednesday night. Of all the things I miss about Ohio, those Wednesdays are missed most. My friends and I know nearly every dance and spent years perfecting them. So, moving to Pittsburgh wasn’t as fun because I didn’t have my Wednesdays anymore. Now, many people are surprised when I tell them I listen to country music, but I like to keep things edgy. Anyway, while listening to Froggy, Pittsburgh’s country station, I discovered that Latitude 40 has country line dancing. Every Wednesday is country night. Could I finally be getting my Wednesdays back??? I wasn’t sure. My expectations were low, truthfully. How do I describe Latitude 40 (or Latitude 360 as I guess it’s known as now)? It’s massive. There’s a restaurant, bars, and bowling. http://latitude360.com/ There’s the link if you want to check it out. A friend of mine came with me, and we had so much fun! I even knew some of the dances because they’re the same ones we do in Ohio. In other words, I’m glad I went. I’m not amazing at dancing. Come on, I trip over air! But I love to dance. You can’t beat the thrill, the challenge, or the laughter when you make a mistake. The people watching is fantastic, too. There’s no cover charge to get in. Dancing lessons start at 7 and the actual I’m-just-going-to-try-this-and-hope-I-don’t-fall-and-break-my-nose dancing starts at 8. Pittsburgh, you’re not so bad. Thanks for giving me back my Wednesdays! Some things never change. Especially dinosaur skeletons that are millions of years old. 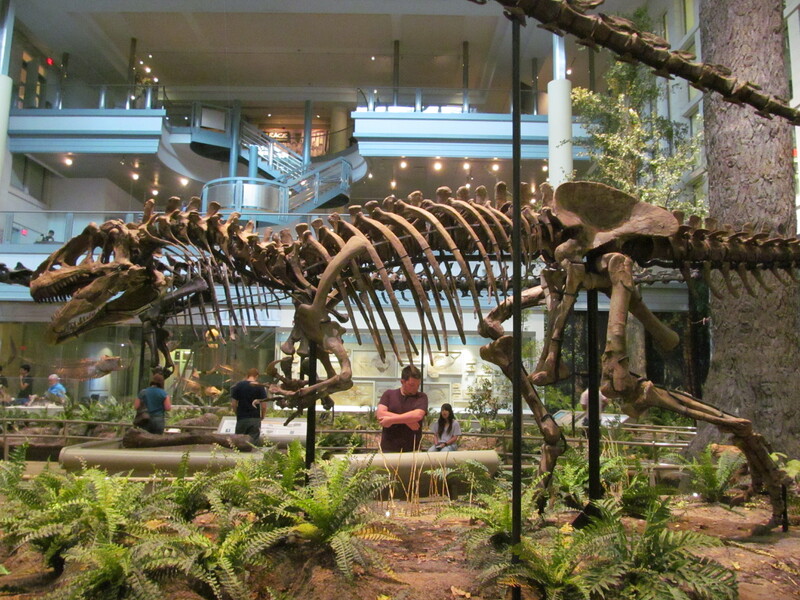 When I was in second grade, I had this vision of becoming a paleontologist (clearly that never happened), so my aunt and uncle took me to the Carnegie Museum of Natural History as a birthday present. After that, my parents bought a museum membership and we went several times over the years. And nothing ever thrilled me quite like the dinosaurs. The dinosaur exhibit has certainly changed since my childhood days. It’s more interactive, easier to navigate, and more visually appealing. But I still turn into a little seven-year-old again staring up at the dinosaurs that are taller than I could ever hope to be (and mind you, I am not terribly tall). And then there are the Halls of North American and African Wildlife. I still greet those taxidermy like old friends. The giraffe, the zebras, the mountain goats, they all still look at me the exact same way, and I still see them through wide child-eyes. The Egyptian exhibit used to have a mummy tomb that kids could climb through and explore. I’m still really sad it’s since been closed up. That was a fun time. But since I’ve been reading the Kane Chronicles by Rick Riordan, I have more appreciation for the relics inside the tomb, as well as the Egyptian gods and goddesses. Funny what growing up can do for you. Look at that architecture. Isn’t that beautiful? Is it any wonder why I adore this museum so much? I never explored the Art Museum much when I was a child, but now that I’m older, I appreciate it far more than I would have at age seven. Due to my love of Greek mythology, is it any surprise that my favorite works are sculptures of Greek gods and goddesses? 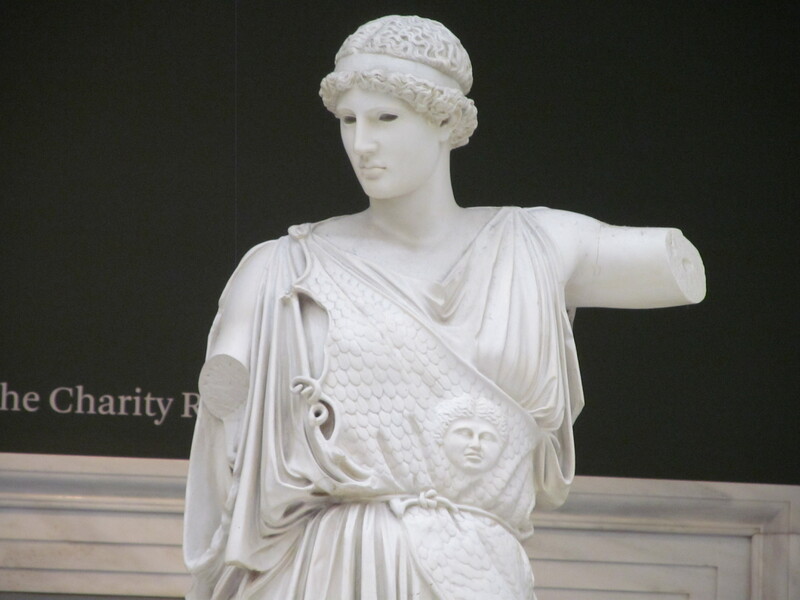 I can recognize any sculpture of Athena because she always wears Medusa’s head on her cloak. The room holding this particular statue is based on the Parthenon in Athens. I was tempted to buy a museum membership for myself. Honestly, I could come back here every day just to stare in wonder at these masterpieces, both natural and created. I didn’t buy a membership because I don’t have $70 to spend on something like that. BUT Thursday nights after 5 are half-priced admission. That would be a fun evening. Hang out at the library for a couple hours and then go to the museum. 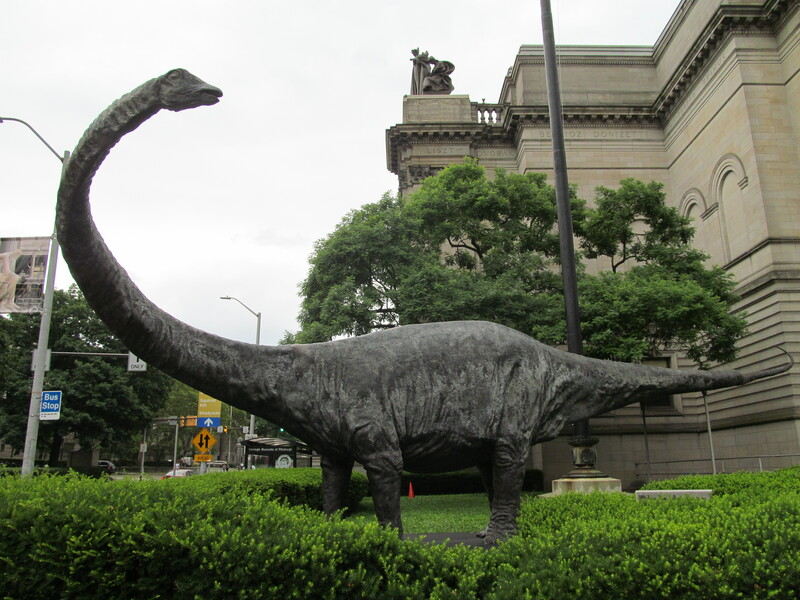 Oh, yeah, did I mention that the Carnegie Library of Pittsburgh’s Oakland branch shares a building with the museums? It’s all my dreams coming true at once! 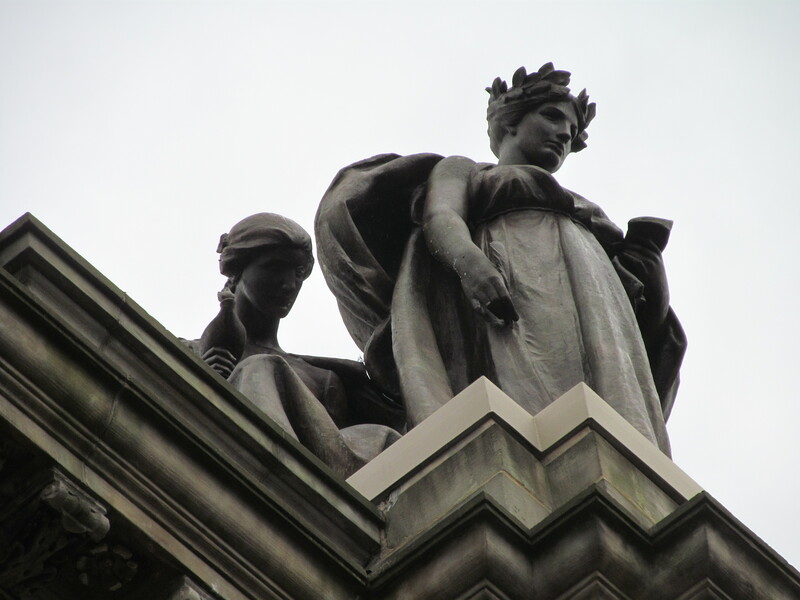 Oh, and did I mention the guardians of the museum, watching over Forbes Avenue like gentle gargoyles? Why, just the Muses, the patronesses of the arts! We also get the word “museum” from the Muses, in case you wondered. 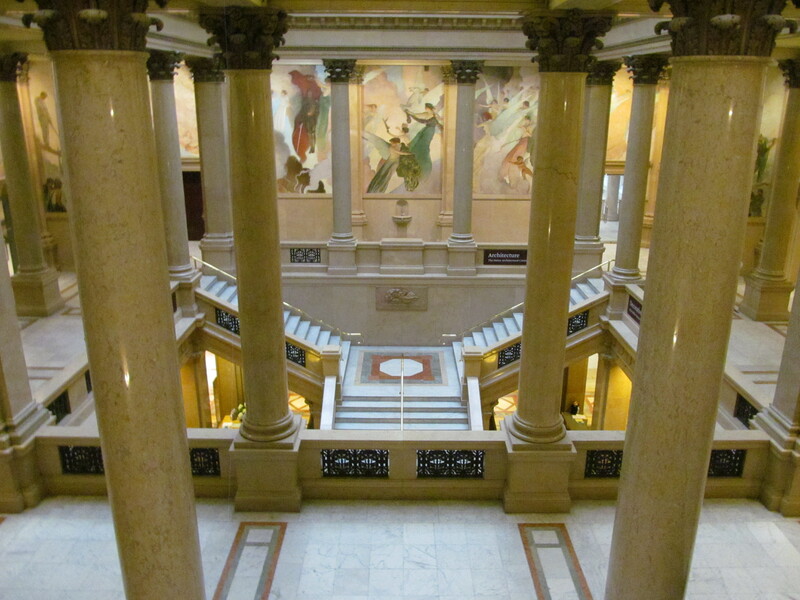 Don’t be surprised if this is one of many posts about these museums, and the library. 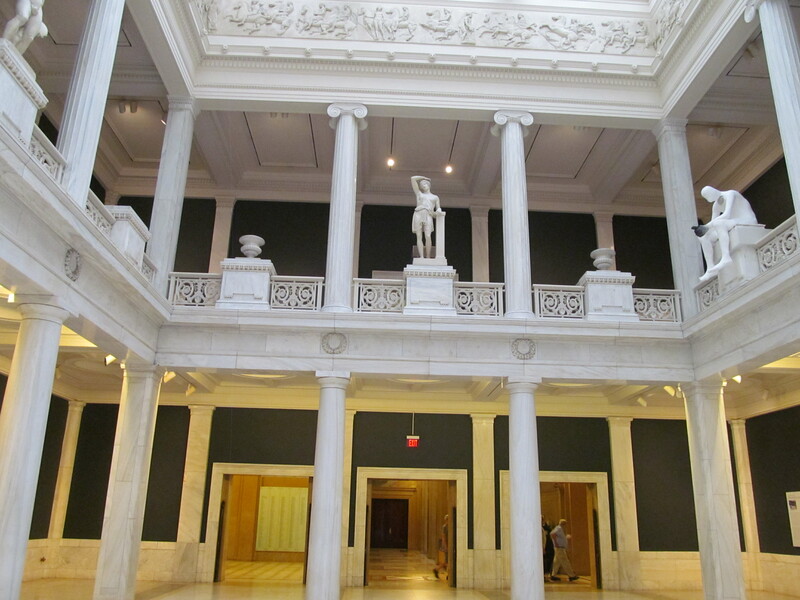 If I can’t find anything else to love about Pittsburgh, you can bet that these museums will redeem Pittsburgh for me. Pittsburgh, to my knowledge, is the only city in America with that random “h” at the end of the name. But so that “h” remains. When I lived in Ohio, I hastily corrected my friend on Twitter who misspelled Pittsburgh as Pittsburg. That looks weird to me. According to the book I am reading called Pittsburgh and the State of Pennsylvania, in 1891 President Benjamin Harrison approved a report to drop the “h” in all burghs across the country. But Pittsburgh (surprise surprise) continued using that “h” until it came back. And so here it stays. Why are we as a city so obsessed with that h? I found an article online that claims Pittsburgh is “the most misspelled city in America.” I can believe it. 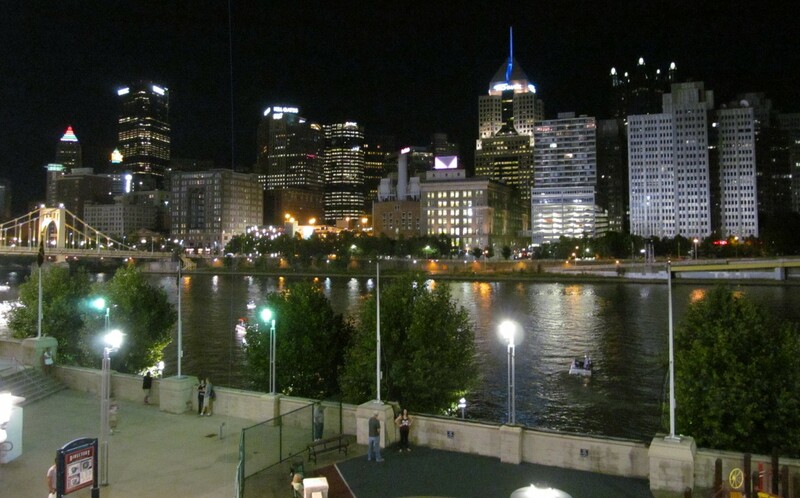 There are other Pittsburgs: in California, Colorado, Florida, Georgia, Illinois, Indiana, Iowa, Kansas, Kentucky, Michigan, Missouri, New Hampshire, Oklahoma, Oregon, South Carolina, Texas, and Utah. And none of them have the unnecessary “h” at the end. EXCEPT for Pittsburgh, North Dakota! But that still doesn’t answer my question. What in Pittsburgh people’s minds made them think their city deserved the “h” even though the President tried to take it away? Was it tradition? The way things have always been done? I’m a librarian, so it makes perfect sense to me that I would research stuff. In real books. Not on the internet. So that’s what I did today. I found a couple pictorial books of Pittsburgh and the surrounding areas, but the books were so old that the photo quality didn’t really make me want to dive into downtown. So I narrowed my search down to four books (one of them is fiction – I do love a good story, so chances are you’ll get a book review on that). One of them is called Food Lovers Guide to Pittsburgh. I do like food. One is a children’s book called Pittsburgh and the State of Pennsylvania: Cool Stuff Every Kid Should Know. Fairly recent and published in 2011 (I promise I’m not a child, but the photos are so bright and eye-grabbing…also it gave me an idea for tomorrow’s post). Sorry, I’m not very interesting today. I’ll just get back to researching and let you know what I find!